At Yerecic Label, success goes hand-in-hand with environmental responsibility. As a team, we have been able achieve remarkable accomplishments in sustainability, and continue to learn new ways to reduce our environmental footprint. This means auditing the materials and methods we use to make our products, finding sustainable solutions for the life cycle of our products and evaluating the resource usage in our facility. Reduced energy use and greenhouse gas emissions. Product design to minimizes waste and incorporate environmentally preferred materials. Management practices that outline production facility’s environmental commitment and set goals and measurements for continuous improvement. Yerecic Label strives to reduce landfill by insuring all qualified materials are either recycled or baled for alternative energy. 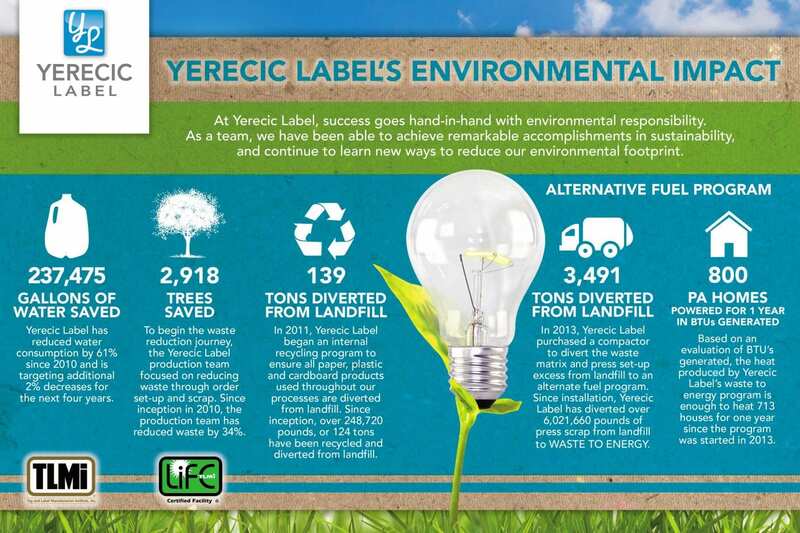 In 2013, Yerecic Label achieved landfill free designation by diverting 99.3 percent of waste from landfill. 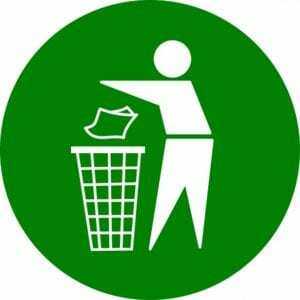 We aim to achieve 3rd party certification for landfill free in 2017. Yerecic Label implemented an in-house recycling program for all associate and process waste. Recycling cans are in all office spaces and all work areas of the production floor, and a recycling dumpster was put into place to collect all of the recyclables. Scroll down to see how we reduce pressure sensitive scrap from set-up and re-use the pressure sensitive waste matrix! To begin the waste reduction journey, the Yerecic Label production team focused on reducing waste through order set-up and scrap. Since inception in 2010, the production team at Yerecic Label has reduced waste in set-up and scrap by 34 percent. 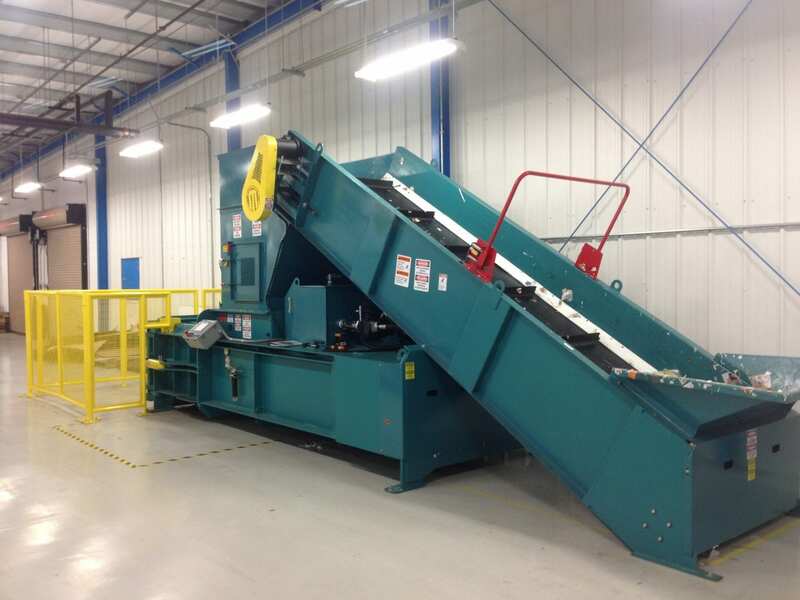 In 2013, Yerecic Label purchased a compactor to divert the waste matrix and press set-up excess from landfill to an alternate fuel program. Since installation, Yerecic Label has diverted over 6,000,000 pounds, or 3400 tons, of landfill from waste to energy. Based on an evaluation of BTU’s generated, the heat produced by Yerecic Label’s waste to energy program is enough to heat 713 houses for one year since the program was started in 2013. All products purchased by Yerecic Label are environmentally preferred or are being researched for replacement. 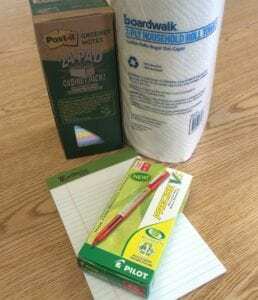 This includes office materials such as printer paper and folders to cleaning materials like paper towels and glass cleaner. 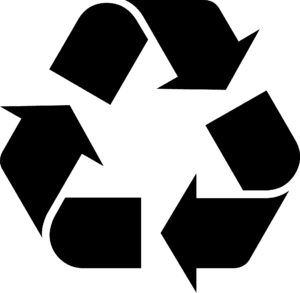 We have implemented a sustainability program to our buying policy to give preference to products and materials from sustainable suppliers whenever possible. Yerecic Label has reduced water consumption by 61 percent since 2010 and is targeting additional 2 percent decreases for the next four years. 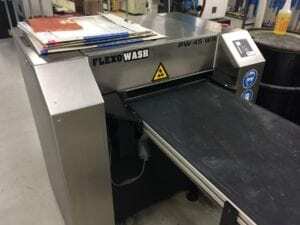 Yerecic Label has purchased 5 FlexoWash self contained Anilox cleaning units and a FlexoWash plate cleaning system. This equipment has been installed since April 2012 and has reduced the amount of water needed to clean anilox and plates. Yerecic Label takes extreme pride in developing sustainable practices, but also sharing their experiences with other label industry members. As an active participant on the TLMI Environmental committee, Yerecic label shares their green knowledge and best practices with other TLMI members and the label industry as a whole. 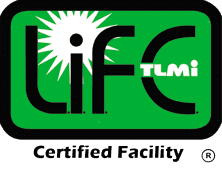 Through the L.I.F.E.® mentor program, Yerecic Label has helped over five label converters gain L.I.F.E.® certification. 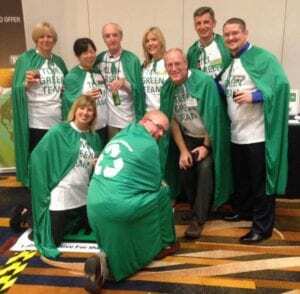 Want to learn more about Yerecic Label’s sustainability initiatives? Learn What Green Means at Yerecic Label!